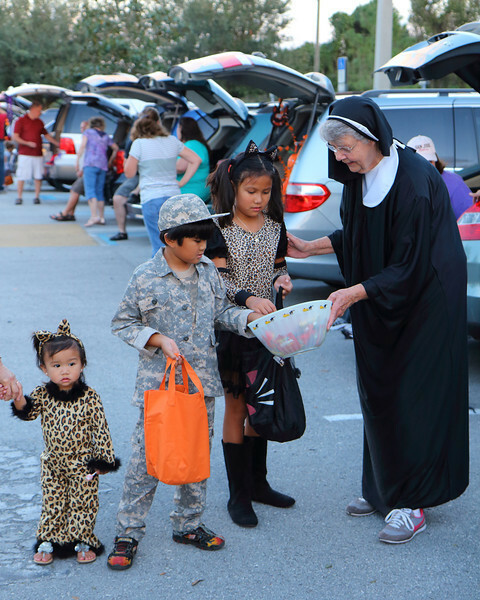 When two leopards, a soldier and a Nun exchange sugary treats in a dark parking lot of an elementary school, you get a bad joke and my kid's annual Trunk or Treat days before Halloween. Costumed "farces" unite to gather and consume sweets at an alarming rate before bedtime. 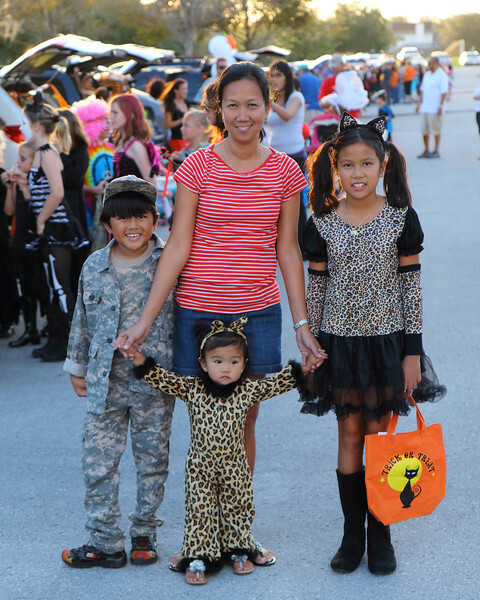 The high fructose race against the clock is hindered by smothering parents capturing the precious moments. Cute and adorable leopards on the prowl. While my almost 20 month old baby distracts curious onlookers with charming fuzzy wuzzies, my clever oldest makes her move to the candy bowl. 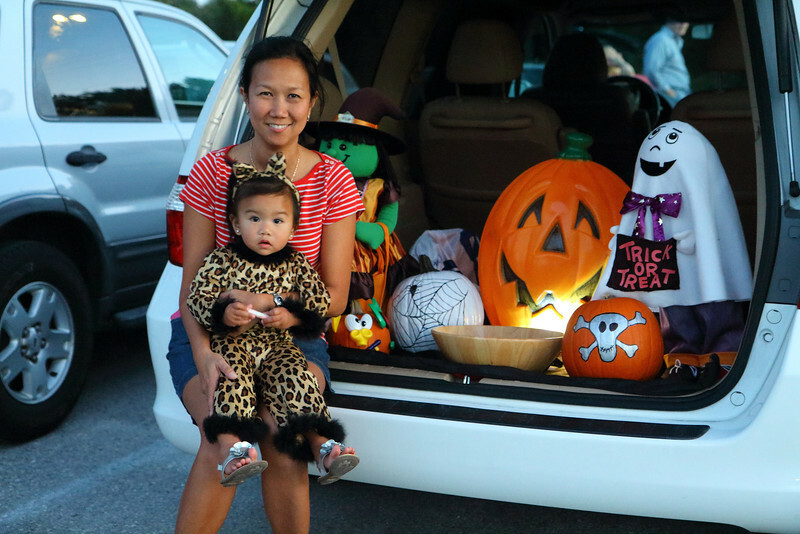 Candy corn is pushed aside for peanut butter cups in this leopard den! Let the Holiday Season begin! Any trip to the "Dollar" and "Crafts" store for seasonal decorations is justified from October to Easter for the "boss". Nothing says themed presentations like tacky and ornate plastic goods! 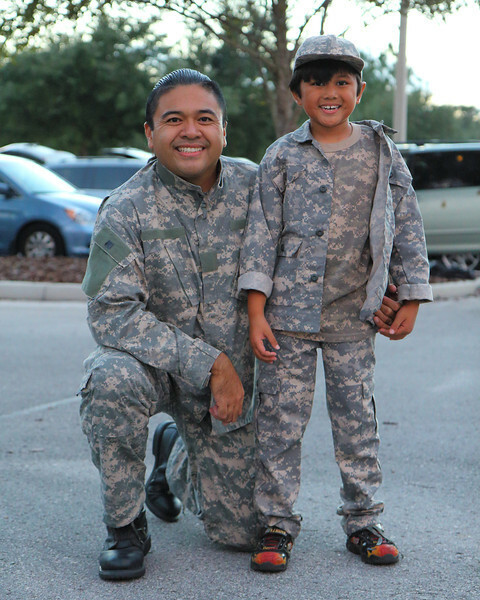 A father and son sharing a defining moment with matching soldier costumes this Halloween season. "Moment" meaning my last minute scramble to Army Navy Surplus stores all over the county for proper garment sizes in digital camouflage. My son, like me, shares the same fascination with anything "military". From weapons of mass destruction to his all time favorite Call of Duty: MW3, my son is the "true" modern soldier. 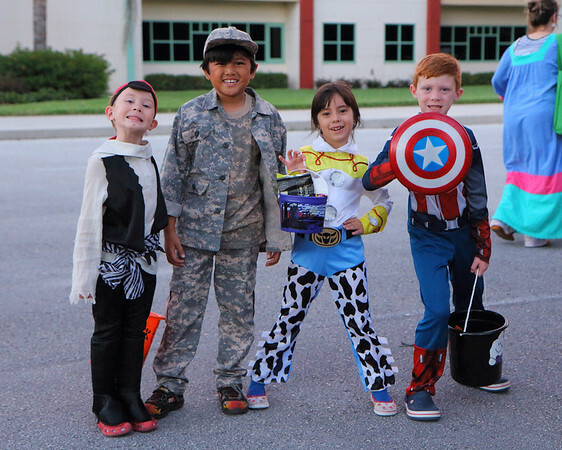 You can view more pictures in my Trunk or Treat 2012 Gallery shot with the Canon Rebel T4i/650D paired with the Canon EF-S 17-55mm f/2.8 IS lens. Stay updated with adorable cuteness and the latest gear by Becoming a Fan on my Facebook Fan Page and following me on Twitter! They are continuing with incorrect solutions, lots of easy concerns will Clever Login It helps instructors in reducing their teaching time by offering lots of discovering solutions.